What a FANTASTIC response! THANK YOU ALL SO MUCH!!! We are now so confident our revolutionary cow with calf approach can work at scale, our next target is TO SPREAD THE WORD amongst a sceptical farming industry. 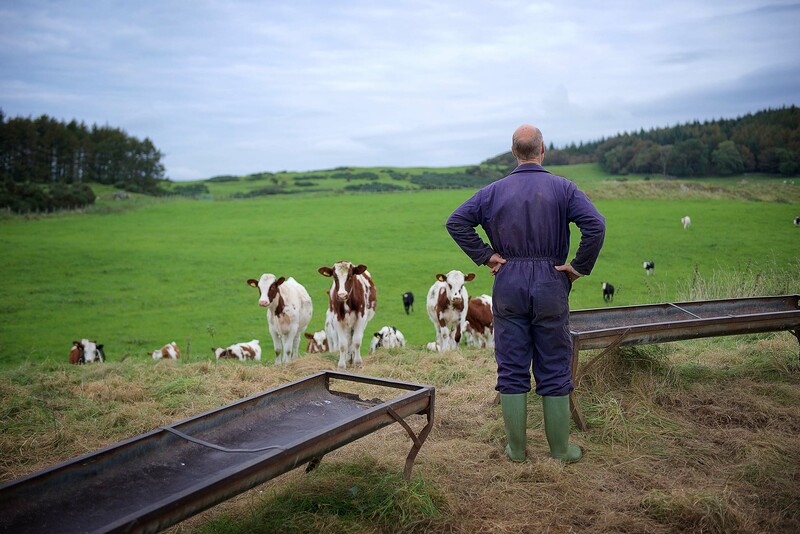 When we launched this crowdfunding campaign we had a flurry of enquiries from farmers, vets and other people connected with agriculture who wanted to know more about our farming model. We have always said we wanted to freely share what we have learned with the wider industry – and we do this now and again by hosting visits and answering questions. However, there’s been an idea forming for a few weeks now that we’d like to do something more substantial. So… since Crowdfunder is encouraging us to add a ‘stretch goal’ to this campaign, here’s the plan. Every penny we raise above our original goal of £50,000 we will put towards the UK’s first ETHICAL FARMING CONFERENCE. We will organise and host this in May 2019. Ethical and ecological approaches to farming aren’t exclusive to our farm and there is a wealth of knowledge, expertise and inspiration to be found on farms across the country. The handy thing is that we know a lot of these farmers. So we’ve phoned a few of them up and asked if they want to take part in an Ethical Farming Conference to share their knowledge, and they do. We want to make this event accessible to as many people as possible, including agricultural and veterinary students and researchers. We also want to pay the expenses of speakers who will be attending, and we want, possibly, to invite international speakers to it. We’re not sure how much it will cost in total but we’ve put £5,000 in as a stretch goal. Thank you again for your amazing support! Let's make this dairy revolution happen! We are on a mission to revolutionise the dairy industry. We want to prove that a kinder approach to dairy farming is possible and then encourage others in the dairy industry to change. 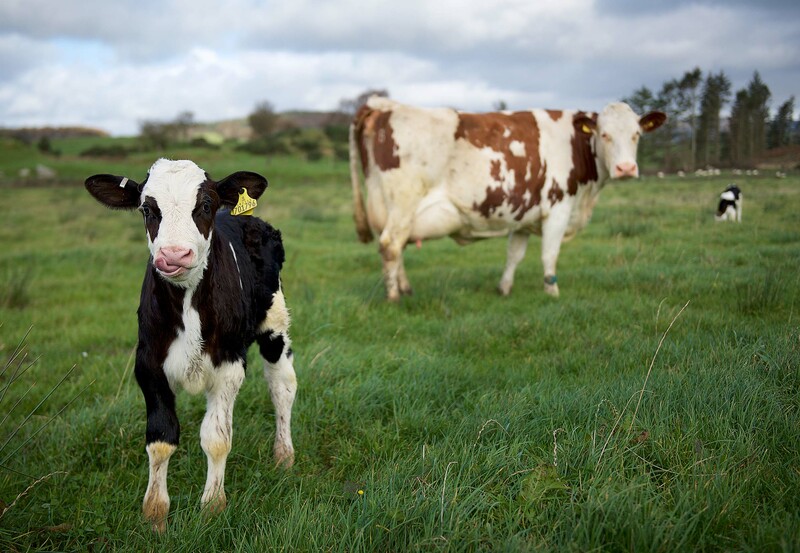 Unlike almost every other dairy farm in the world, we have stopped taking calves away from their mothers shortly after birth. We now leave the calves - including the male calves - with their mum to suckle naturally. It means we get less milk, but also less stress. Less stress means a better life for the cows, their calves and for the people who work with them. We are the largest farm in the UK using this system and we want to prove this is viable at scale. We are now confident that it is. If we can prove cow with calf dairy farming works we know other farmers would transition to this method. Our food production model is addressing the challenges of sustainable food from a dairy-based system using a mix of agroecology and agro-technology approaches that dramatically cut waste, improve energy efficiency, facilitate natural processes and reduce our dependence on external inputs, following the principles of ‘lean production’. So why are we asking for support? We need funding to help us share what we've learned - open-source ethical farming is our goal! We also need funding to help with the up-front costs. We have been actively seeking business investors for about two years to support this project. We were assured that this would be easy to fund via ethical investors, but that now seems to have been a little naive. Since we want to share our model not monetise it, and since our goal is to prove this concept works, not make massive profits, it would seem we are a poor fit with traditional investors. We want open source ethical farming, we don’t want to keep what we’ve learned to ourselves! We have also explored conventional borrowing, but because we are tenant farmers that makes things more difficult. We need to buy bigger production equipment and we need to connect our new cheese dairy to our farm anaerobic digester so we can use coo-poo-power to provide the energy for our cheese making! Increasing production will also result in a whole bundle of additional transition costs. For example, instead of selling some milk fresh and putting some into cheese, all our milk (i.e. our income) will be put into cheese. 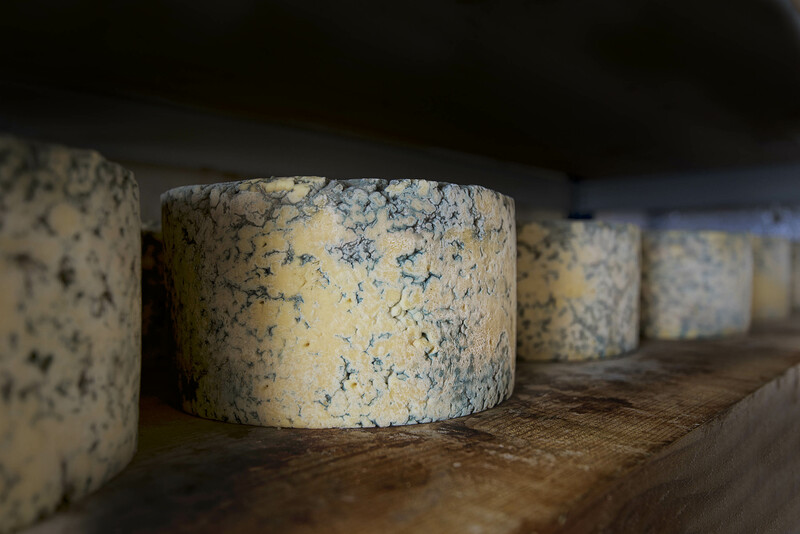 But it takes months to mature our cheese, which means that for around a year we will have virtually no income to pay our team to make our cheese and look after the cows and calves. The other reason why we have started this crowdfunder is because people have asked us to. We have been contacted by a number of members of the public who want to support the development of a new dairy system with which they are comfortable. Some of the most passionate advocates for a kinder approach to dairy farming are those who have stopped consuming dairy products entirely. This crowdfunder will give people a way of supporting this new approach to dairy farming more directly. 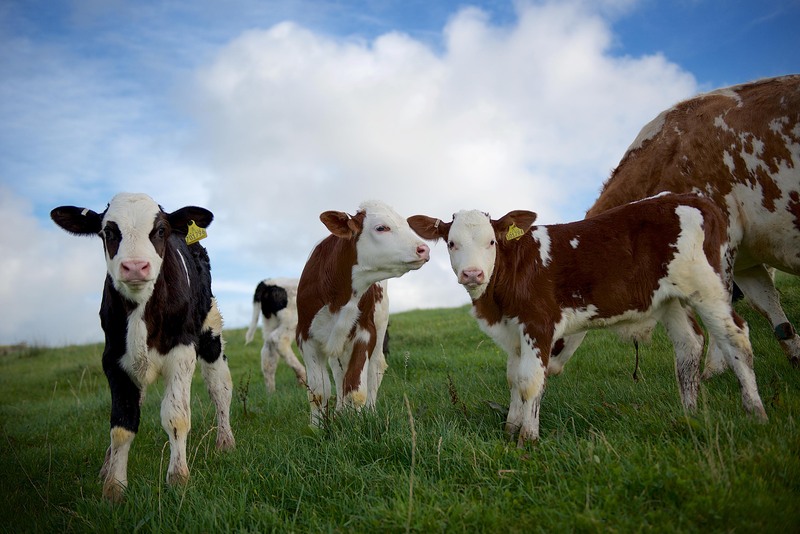 To help us prove there is a viable alternative to conventional dairy farming that could be rolled out to other farms, demonstrating that we can have both a successful dairy industry and high welfare for our animals. Our ultimate goal, once we have proven this model, is to share our experience with other farmers so that they can transition to cow with calf dairy farming more easily having learned from our mistakes. We are currently being contacted on a near daily basis by other farmers who want to know more. They want to try ethical dairy farming but they want us to prove it can work first. Support from you will help us make everything happen faster. 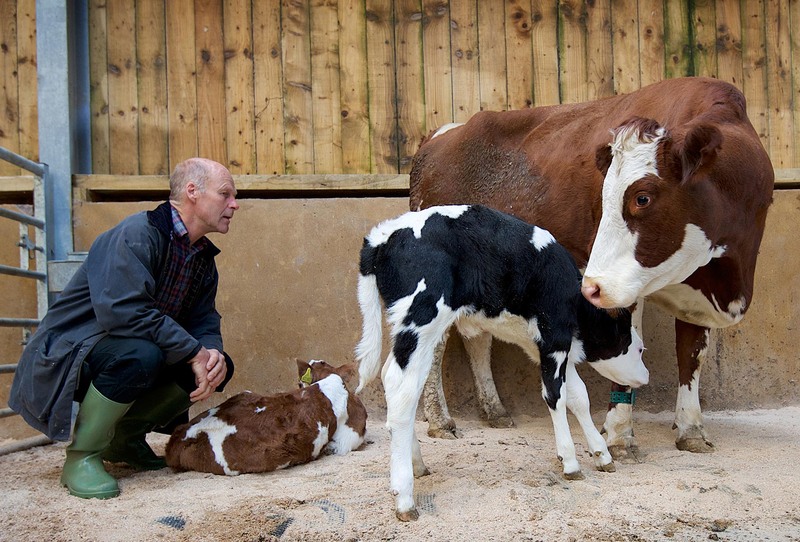 The faster we can prove the model, the sooner other farms will start to transition to cow with calf dairy farming. You can help by sharing our story, buying our cheeses from our website or by contributing to this crowdfunder. Help us start a dairy farming revolution. Thank you. Show your support for The Ethical Dairy when you shop with an practical organic jute bag featuring our logo. A personal email from us thanking you for your support. A personal card from us thanking you for believing in us, plus a cheese of your choice. Become a Cheese Testing Hero! This will pay for one single set of testing for a batch of cheese. We'll add your name to our Hero page on our website as a small token of our sincere thanks and appreciation for your support. A practical organic jute bag for life, plus either an organic t-shirt, hoodie or apron carrying our The Ethical Dairy logo. Become a Blue Cheese Testing Hero! This will pay for one single set of testing for a batch of blue cheese. We'll add your name to our Hero page on our website as a small token of our sincere thanks and appreciation for your support. We will add your name permanently to a sponsors wall in the farm viewing gallery. This means that everyone who visits on a farm tour will see that you have personally helped with our dairy revolution. Come for a visit and enjoy a personal guided tour of our farm and cheese making with owners David & Wilma Finlay. This visit would include lunch and refreshments. You can ask any questions at all and the date of your visit would be agreed to suit you. For 2 people. We are planning a special event to mark the opening of our new cheese dairy in May 2019. This reward is a VIP invite to that opening event. Date TBC. Come for a visit and enjoy a personal guided tour of our farm and cheese making with owners David & Wilma Finlay. This visit would include lunch and refreshments. You can ask any questions at all and the date of your visit would be agreed to suit you. We'll also add your name to our sponsors wall. For 4 people. Enjoy cheese for a year. This reward is for a small cheese box delivered to your door for a year. This reward is estimated to have a start date of July 2019 to give us time to make the cheese we need! Although if you would prefer this reward to commence sooner, we can organise that. Lots of Cheese for a Year! Enjoy cheese for a year. This reward is for a medium cheese box delivered to your door for a year. This reward is estimated to have a start date of July 2019 to give us time to make the cheese we need! Although if you would prefer this reward to commence sooner, we can organise that. Want your name on our packs? You can sponsor one of our cheeses for a full year. We'll announce you as our cheese sponsor and add your name and a thank you to you on every label and add your name to our sponsors wall. We'll also pop a generous supply of your chosen cheese in the post for you to enjoy. This is an opportunity to help us create a brand new cheese! We are still experimenting with new cheeses and cheese experiments aren't cheap. This reward reflects the production costs of testing out a new idea. 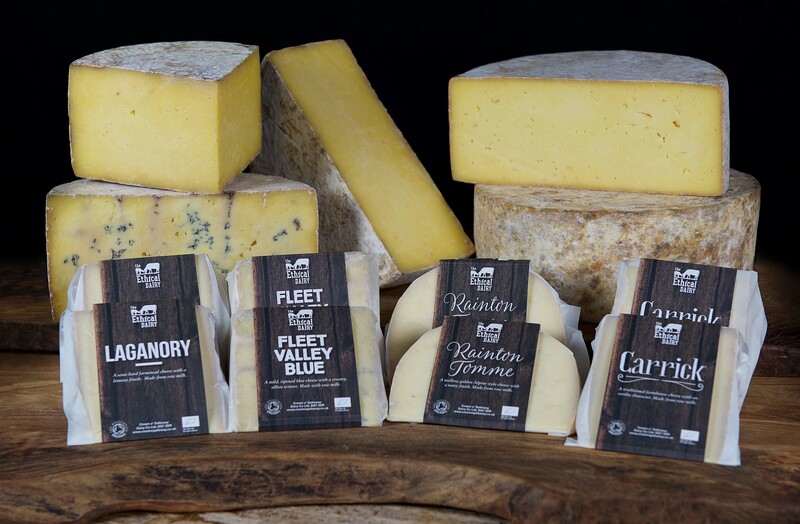 If you decide to become a cheese experiment sponsor we'll keep you up to date on what we're trying, invite you to help choose the name and we'll send you a full wheel of the finished cheese. We'll also add your name to our sponsors wall.